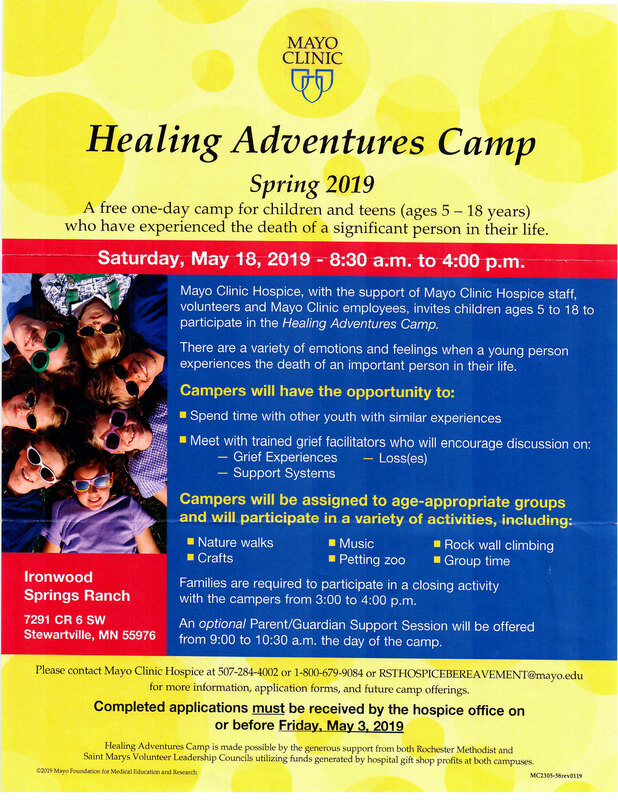 With the support of Mayo Clinic Hospice Staff, volunteers and Mayo Clinic employees, invites children ages 5 to 18 to partcipate in the Healing Adventures Camp. Saturday May 18, 2019. Click here for more information. Is offering a free six week Grief Support Group for the community on Thursday April 25th through May 30th, 2019. Click here for more information. After the death of a loved one, here are helpful grief videos, articles and other resources in grief. Support to bereaved families after the death of a child. AfterTalk is a place of Comfort, Sharing and Insight for those who have experienced loss or are supporting a Loved One in Hospice Care. A variety of tools and resources to help families cope with death. 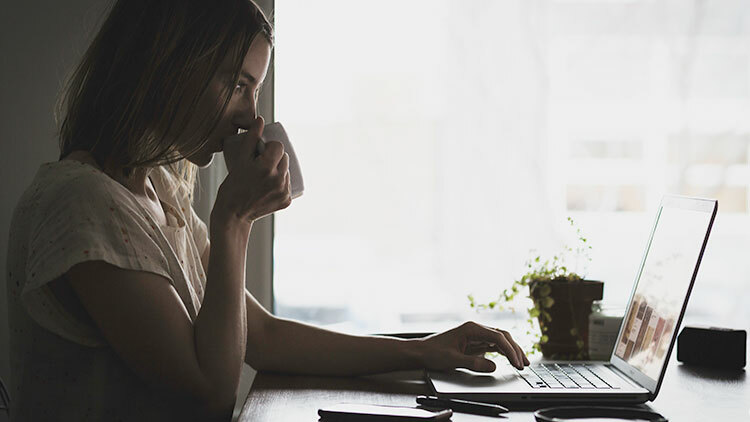 Connects and empowers grieving college students. These students support one another with peer-led grief support groups as well as participate in community service events in memory of their loved ones, and by doing so, they raise awareness about the needs of grieving young adults across the country. This program is currently “ActivelyMovingForward” on campuses, coast-to-coast. Heather Stang, holds a Masters degree in Thanatology(the study of death, dying and bereavement), and is a certified Yoga therapy practitioner. Author of the book Mindfulness & Grief, her website is for those seeking information and guidance on mindfulness and grief. Mindfulness is a tool to help alleviate the suffering one experiences as a result of grief. Heather is a member of ADEC(Association for Death Education and Counseling) and works with TAPS: Tragedy Assistance Program for Survivors. This site includes meditation exercises, her blog, podcasts and grief tips. Offers compassionate care to all those grieving the loss of a military loved one. If you have lost a loved one to suicide, it can be a relief and a healing experience to talk openly with fellow suicide loss survivors about what you’ve lived through. AFSP makes the support group listings directory for suicide loss survivors available as a public service and does not run, recommend, endorse, or fund any of the groups listed. offering these resources: Beyond Surviving: 25 Suggestions for Survivors and Helping Survivors of Suicide: What you can do?